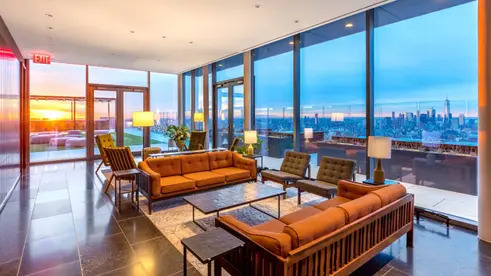 At 62 stories and 702 feet tall, The Eugene (435 West 31st Street) is the tallest rental building in midtown Manhattan, and its latest amenity offering is designed to make the most of that. 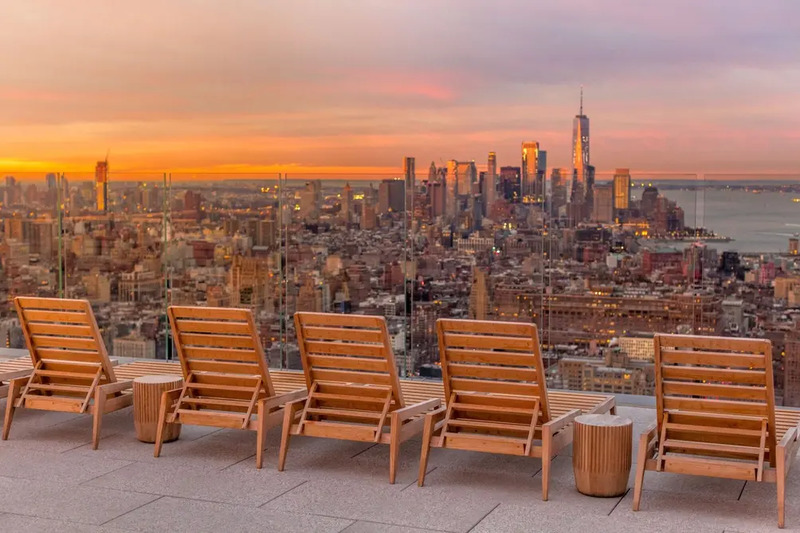 The Hudson Club, a rooftop, members-only club, has just opened. Features include a sunroom with cocktail bar, private dining room with chef’s kitchen, poker/game room, and piano lounge with fireplace. Outside, there is a 4,600-square-foot terrace with barbecue areas and lounge seating. All parts of The Hudson Club benefit from panoramic views of New York City and the Hudson River. 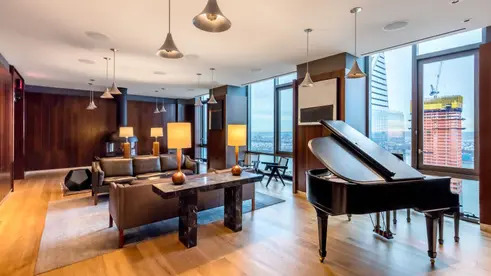 The Hudson Club is on top of over 50,000 square feet of amenities that put The Eugene on CityRealty’s list of rentals with the best indoor amenities. 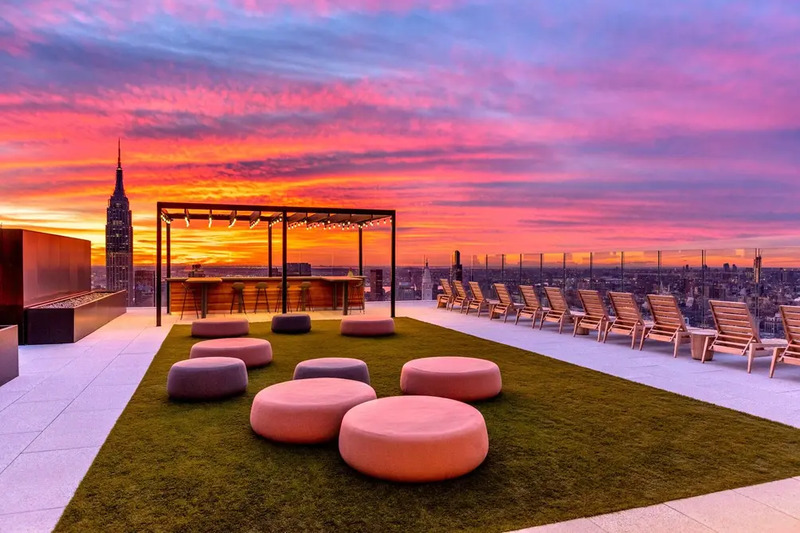 Health and wellness offerings include a state-of-the-art fitness center, two-story rock-climbing wall, and a full basketball court that has proven popular beyond residents; designer Monse hosted its most recent fashion show there. Recreational amenities include a golf simulator, arcade corner, billiards room, library lounge, and children’s playroom. Concierge LIVunLtd. provides social, experiential-driven services, and premium coffee shop Bluestone Lane has an outpost on the ground floor. 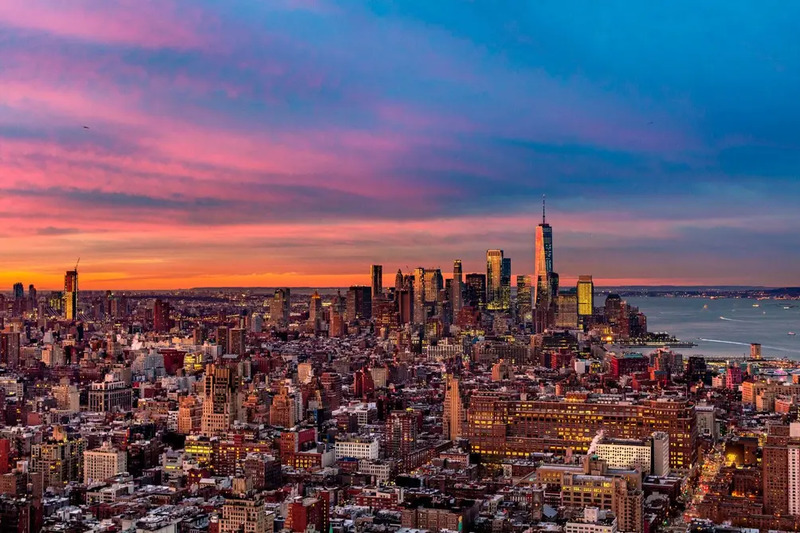 Residents of the custom-designed apartments can look out floor-to-ceiling windows and watch the eight-acre, six-building Manhattan West take shape before their eyes. Nearly six million square feet of office space has attracted such notable tenants as Amazon, JP Morgan Chase, RGA, Accenture, and the NHL. The area will also be home to a boutique hotel, dynamic retail, innovative dining, and vibrant landscaped gardens enhanced by Arts Brookfield’s public art and events. Between nearby Pennsylvania Station and the 7 subway extension, there is an abundance of public transportation options in easy reach. With its exceptional location and offerings, it is no surprise that The Eugene is ahead of schedule at two-thirds leased. Of the remaining availabilities, studios start at $3,531/month; one-bedrooms start at $4,110/month; two-bedrooms start at $6,424/month; and three-bedrooms start at $9,600/month. All prices are net effective to reflect two months free rent on a 14-month lease and three months free rent on a 27-month lease. 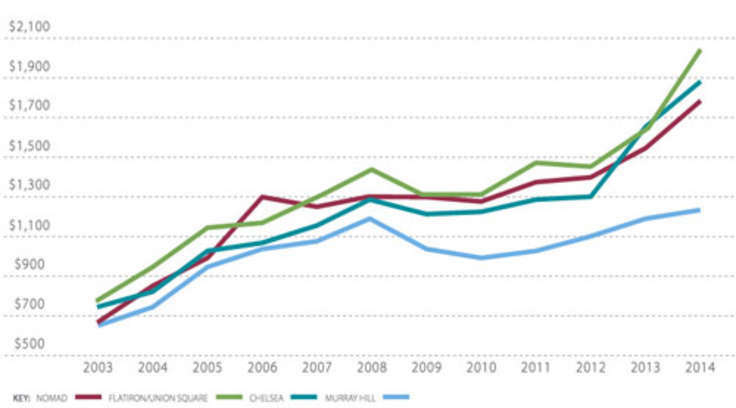 Even with the concession, these prices are above CityRealty's current Midtown West average of $2,850/month for studios, $3,641/month for one-bedrooms, $5,100/month for two-bedrooms, and $5,098/month for three-bedrooms. Search for more rentals here.